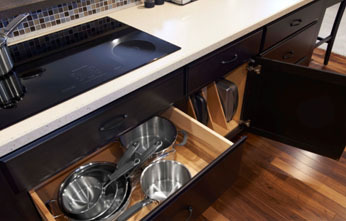 Exceptional flexibility is what Great Northern Cabinetry offers every day. We are excited to offer a few new functional items in 2015 that have been requested. Watch for additional items in the future as we evaluate the requests that we receive and make the announcement right here. Great Northern Cabinetry is fully dedicated to providing the finest semi-custom cabinetry for your home with features rivaling the most custom products in the market. Remarkable Quality, Exceptional Flexibility, Dependable Delivery.